The response to Lenovo's new Moto Z Droid and Moto Z Force Droid has been mitigated at best. Most of us think they're good phones overall, but the wrong corners have been cut and the Mods strategy isn't convincing enough to sway the decision in their favor. But if you were already thinking about buying one of these phones and didn't like the offers available from some sellers, there's a new one from Moto itself that might sway you. The company sent these promo codes to its customers through an email, but it's encouraging them to share with friends and relatives. Since you're our friends, we're letting you in on the secret. 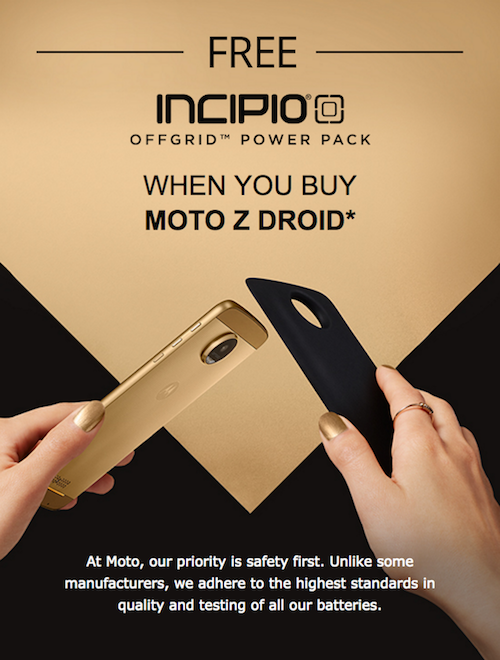 You can get a free Incipio OffGRID Power Pack ($59.99 value) with the purchase of a Moto Z Droid with the promo code MOTOZPOWER. 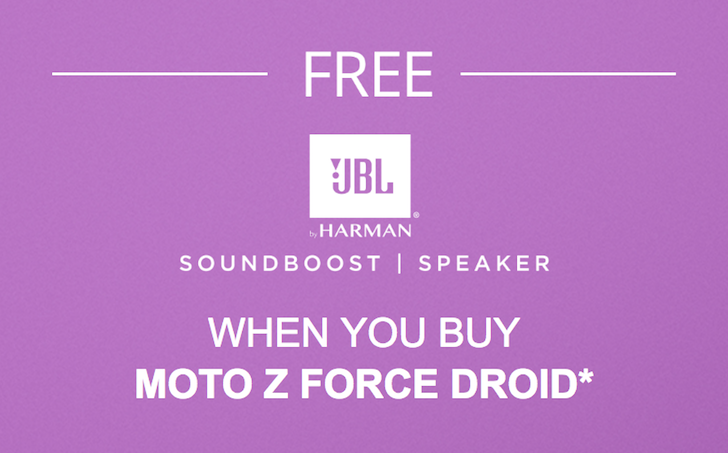 Or you can get a free JBL SoundBoost Speaker ($79.99 value) when you buy a Moto Z Force Droid with the promo code MOTOZSOUND. 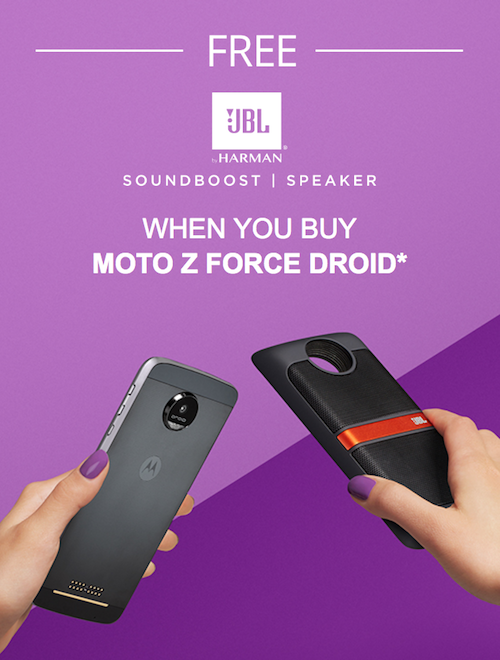 Both codes can be applied at checkout when you shop on Moto's own website for the Moto Z Droid or Moto Z Force Droid.